In the last year we have packed in so much as a family, moved house, got married, had a baby, Dan has started a new job, I’ve put on the biggest showcase our dance school has ever seen and Charlie is now about to start a new school. It’s only days like today where I’m in front with my admin, the washing is on and Sofia is napping, that you stop. Take stock. Realise how far you’ve come. 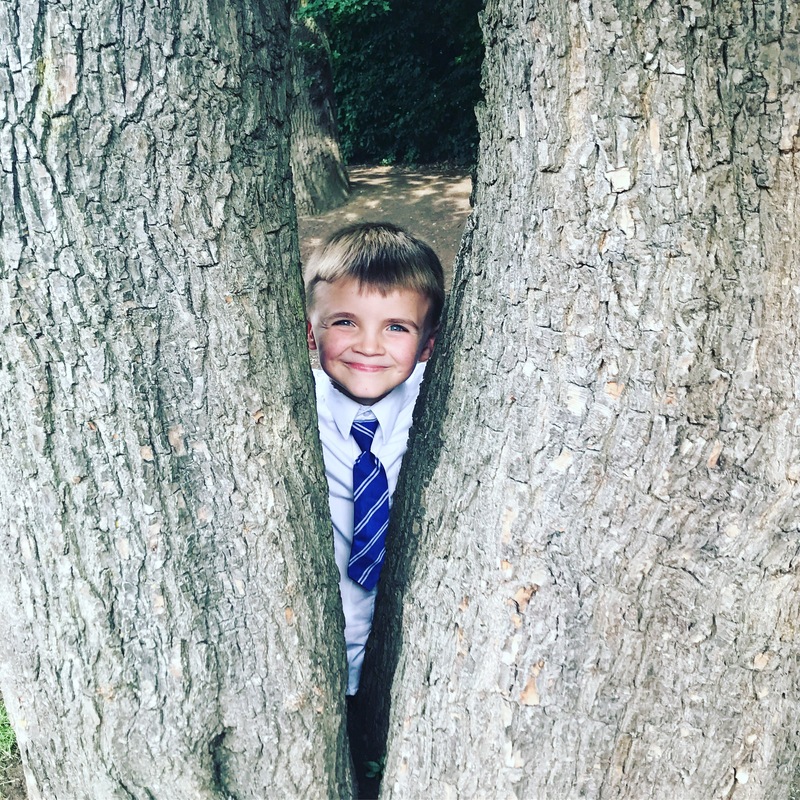 With Charlie finishing infant school in a couple of weeks and all his transition days happening this week I’ve really been reflecting, looking back, and seeing how far he has come. 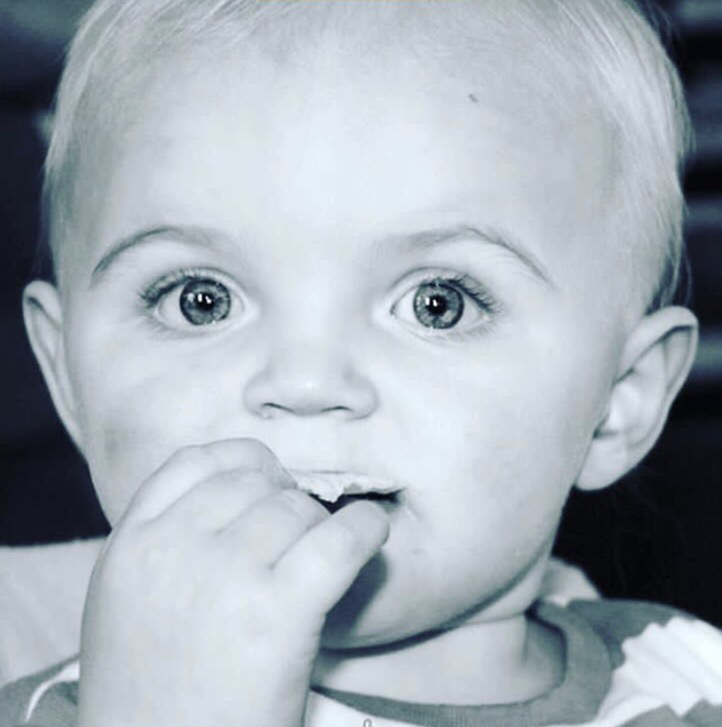 I feel like those big blue eyes could tell us so much… Charlie didn’t talk fully until he was in infant school. He could say just a few words at 2 years old (and those were ones that only really mummy and daddy could understand). It was tough getting a diagnosis of Autism at 3 years old. 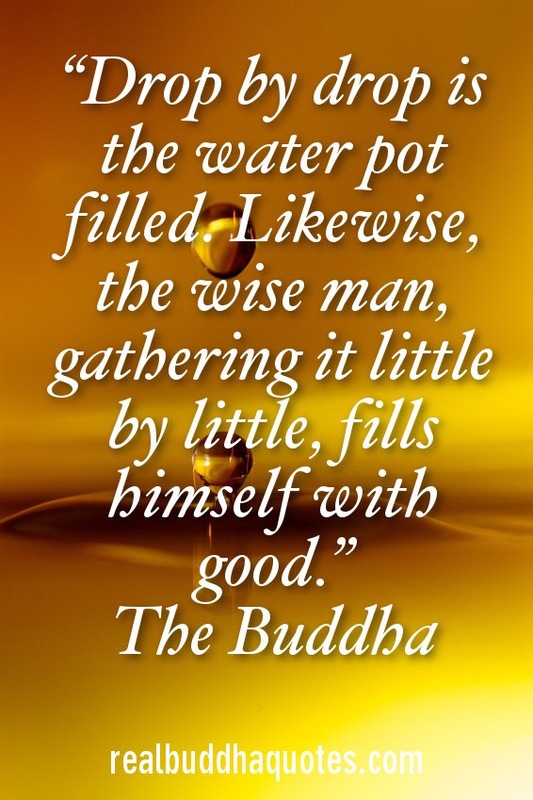 You feel lost, isolated, angry, sad and this lasts for a long time and comes in waves…. just when you think you are coping, something triggers that mixed bag of emotion again. But you know what? I’m SO glad I didn’t let that emotion overtake me…. I often used it to fuel my drive to do what’s right by Charlie, give him every intervention you could think of, get him help and support at school, support others around me to understand him. I guess I accepted what we were told by doctors but didn’t let it define us and most certainly Charlie. Don’t get me wrong, this comes at a price. Some friends, family and people who you thought would stick around, become distant. Your life HAS to change to best support your child. Your idea of what you think those early years will look like has to change, adapt and be tailored to your child’s needs. I channelled everything I had into doing the best I could for Charlie. The discussions, visual timetables, therapies, sleepless nights just to deal with things that other kids do in the blink of an eye. I owe so much to people around me that truly get it. The ones that have been there through thick and thin. Your love and support is what has kept me sane! And now here we are with a new adventure about to begin. Charlie is a remarkable little boy. Proud doesn’t seem to be a big enough word to do justice to him. I’m so thrilled he has tackled every challenge with determination and the biggest heart. I’m sure we will have many challenges to come – that’s part of growing up for us all hey? I know now that no matter what, we can tackle anything! The last week or two has been tough. Tougher than you imagine, but in ways you can’t get your head round until you are there in the thick of it all. Since we were 20 weeks pregnant with our little legs, we knew she would need heart surgery in her first year of life. We were lucky in many ways that this wasn’t needed when she was newborn and we were able to give her until she was just over a year old to be ready for this major surgery. 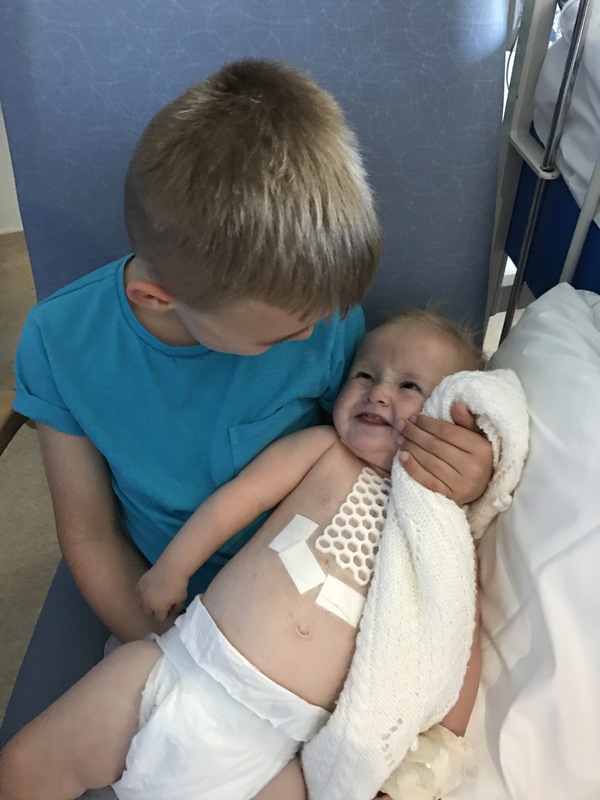 With the operation cancelled twice, the second time being minutes before it was about to happen, and with last week being our third time lucky – (if you can call it that!) – we had well and truly been on an emotional rollercoaster. 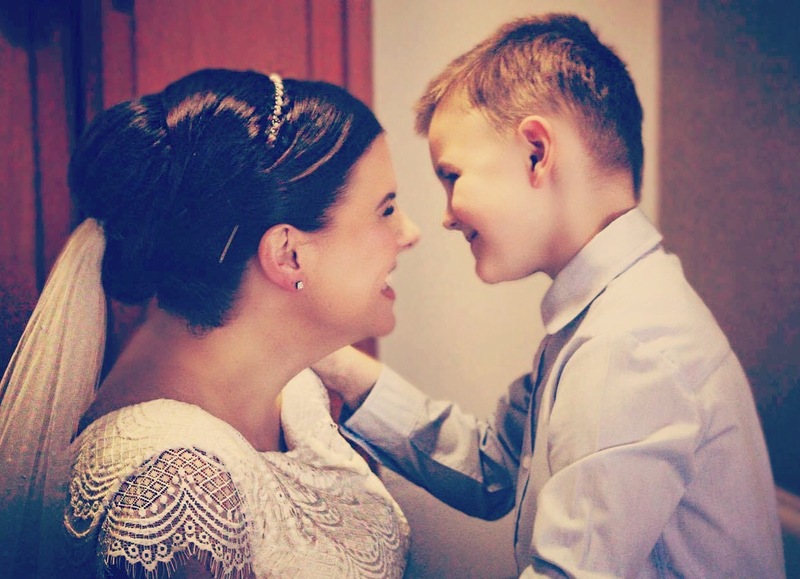 Those of you that follow my blog know that our eldest son is beautifully autistic and structure, transitions and need for reassurance in routine is essential for his wellbeing. 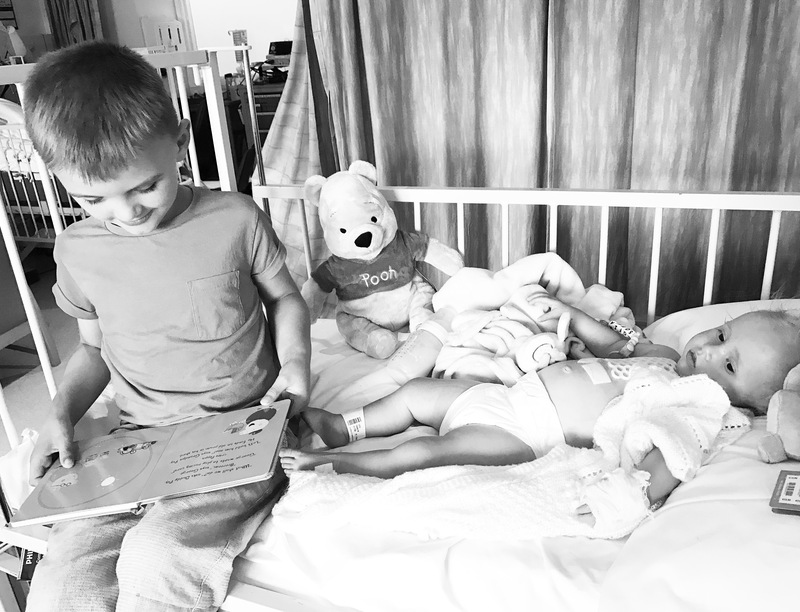 Several times I sobbed in that hospital – not only because my little legs was having her surgery cancelled again and again but because my poor Charlie would have to cope with the uncertainty of all this upheaval. And you know what, he did – and he didn’t just cope, he handled things so well, brilliantly in fact….. Seeing our baby in Paediatric ICU was the hardest thing I’ve ever dealt with. In theatre for over 6 hours and then on the PICU ward for 6 days…. the things we saw, heard and witnessed other people dealing with was heartbreaking…. something I’ll never forget. Seeing our baby so helpless, wired up and on oxygen is just the hardest thing… you want to be the one laying there for them. You want to take all the pain away…. The team of people at the Royal Brompton Hospital were outstanding. Our NHS is second to none. The nurses, doctors, surgeon, even the staff in the canteen….. everyone makes a difference to your time there. The Nurses on PICU work their socks off! We will be forever grateful for the love and kindness they showed our little legs. 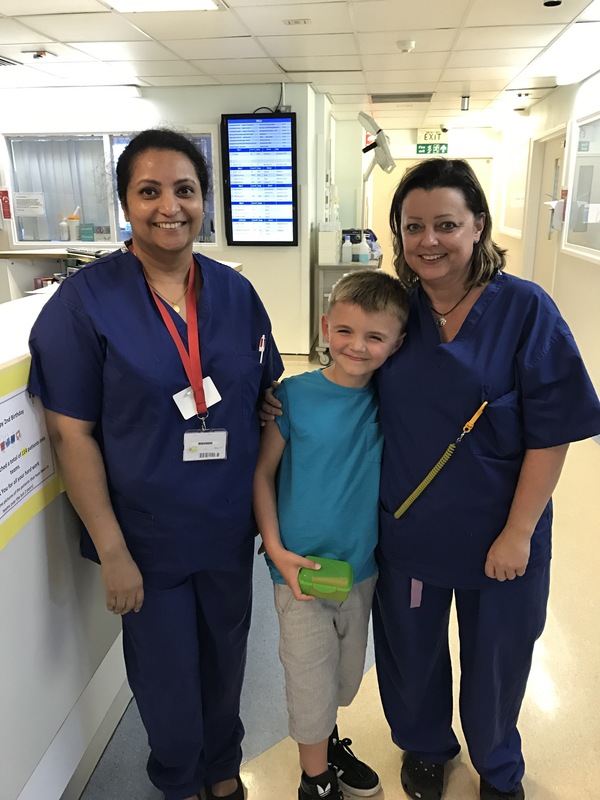 Charlie was very pleased to hand his donation to the nurses there – thank you to all Sparkle parents that donated – your money is going to a very worthwhile cause. I have been blessed with two very special children. Seeing her face light up and laugh for the first time in several days when he entered that ward will be a moment I’ll never forget. I could rant and let this blog post be about how upsetting and frustrating it is when people say things like “Oh you don’t have much luck do you, first your son is autistic and now all this with Sofia” …. but you know what I choose to see the positive, to see the light, the small moments of amazingness in even the toughest times. I love to talk, as I’m sure many of you reading will know! And talking, reading, researching and just generally being open minded has helped me SO much, to better understand how to support my son and his very special ‘clever brain’ as he calls it. You see for so many that have a limited experience of autism it’s really hard for them to understand how someone can look and seem no different to you, but inside they have different ways of processing the world, different things to be concerned about, a different approach. I have friends with Crohns, Endometriosis, Depression, Anxiety, and all manner of things that you cannot see – invisible things that cause them to think, act, be and do things differently. Because out of everything we support Charlie with the toughest part of it is the invisible nature of his differences. 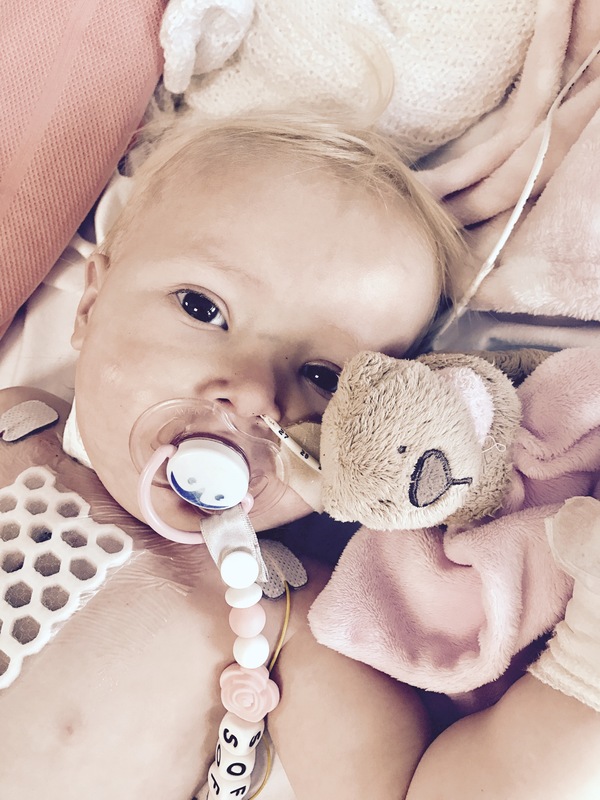 Our gorgeous baby Sofia has a heart condition that requires surgery – and as hard as that’s been to deal with for us – people get it. It’s concrete, it’s understood, its black and white, it’s something people can get their head round. Our social circle is small, our best friends and family very close. On reflection I realise this is because it’s safe, we know where we are, we don’t have to do the exhausting explaining of ourselves. 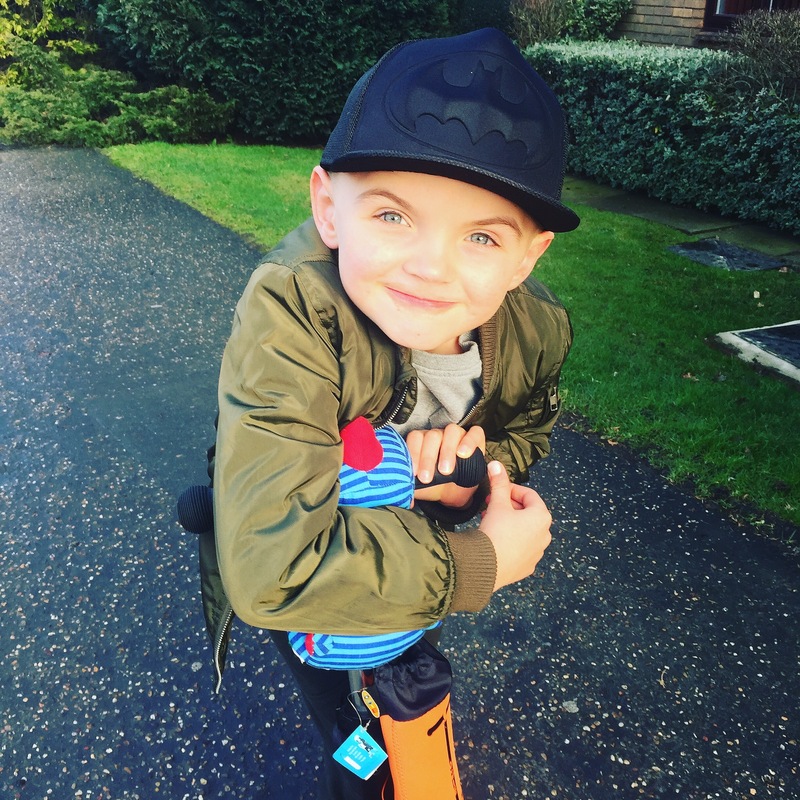 “Yes Charlie eats pizza and cucumber most days for dinner, yes he hates birthday parties, yes he really really really loves superheroes, yes we go to the same place on holiday every year…. you get the idea ?! If I could ask anyone that reads this to just simply consider this notion of Mr Invisible – he’s not a real superhero is he?! I’ll ask Charlie he will know lol – if you meet someone and you aren’t quite sure, maybe you can’t put your finger on it, but they are different, quirky, may choose to do things in a different way to you – please stop and think. Could your understanding, your time, patience or support make a difference- chances are it will……. See having a special brain requires some special understanding. That’s where you can see, hear and tell what’s going on. Where we can support, chat through, understand and help. My beautiful son has progressed more than we could ever imagine, over the last 3 years especially, he’s grown from a toddler to a proper little boy. Chatty, friendly, polite and full of life. For most people they often remark with the best intentions “you’d never know he was any different”, “he doesn’t seem different to me”, “he does so well”. I know these comments come from a good place, and we don’t ever take offence. We are all different, all have our own quirks and ways we do things. We don’t ever let the fact that Charlie is autistic be a big deal, stop him doing things, use as an ‘excuse’ (harsh as that sounds it could easily be used as such), it doesn’t define him, and doesn’t limit his success. He didn’t wake up one day and decide his anxietys are gone away. He works really hard to achieve what he does. Quite often we have to go through a phase of what we call ‘Getting stuck‘. Being autistic often means a delay in processing. Something that happens this morning that bothers Charlie may not be apparent until lunchtime, dinnertime even. Getting stuck is his way of processing, having a little time out, being in his own bubble. He might be playing with a toy for ages, staring into space looking like his just daydreaming, watching something on the iPad. Of course sometimes he can find it hard to get unstuck. He gets stuck on something and can’t seem to find a way to ‘snap out of it’. He is starting to chat this through with us now and understands why he does it, and that he needs a bit of time out – don’t we all at times eh? These sticky situations are helping him progress, to grow, and develop. Even in this photo, Charlie was stuck on playing with the stones, sat there for ages and ages. It’s like he has an inbuilt mechanism to deal with his feelings and stresses. Afterwards you can physically see a weight is lifted. Maybe we could all learn and thing or two?! I know I certainly do. I haven’t blogged for a while. At times I’ve almost got too much to say and find it tricky to summarise, break down or put into words my thoughts and feelings, you almost have to work it through in your own mind first and then feel ready to write about it. We’ve been busy working through little milestone by little milestone and Charlie makes me burst with pride every day. You question yourself, challenge yourself, wonder if you are being patient enough, or too soft, or too anxious… all parents do I’m sure… It’s just a magnified amount when you know your child needs you to say, do and act on their behalf when they are unsure, or unaware of just what it is that should be done. From Charlie doing his special jobs in front of a packed church at our wedding, to him standing up saying a prayer in assembly, to getting himself dressed, all these things don’t just ‘happen’. He puts a lot of time and energy into preparing for them, as do we – visual timetables, talking and walking through the event before it happens and reassuring him there’s nothing to worry about. I’m really bloody proud of him and will continue to celebrate every little thing he achieves and fight for the help he deserves. We have been preparing this week for an event that Charlie has been practicing for and looking forward to for months. Mummy’s dance school show! He adores coming to class and having fun dancing with his friends. It meant a lot to us that the theatre have been so supportive in helping to prepare Charlie for the big day. 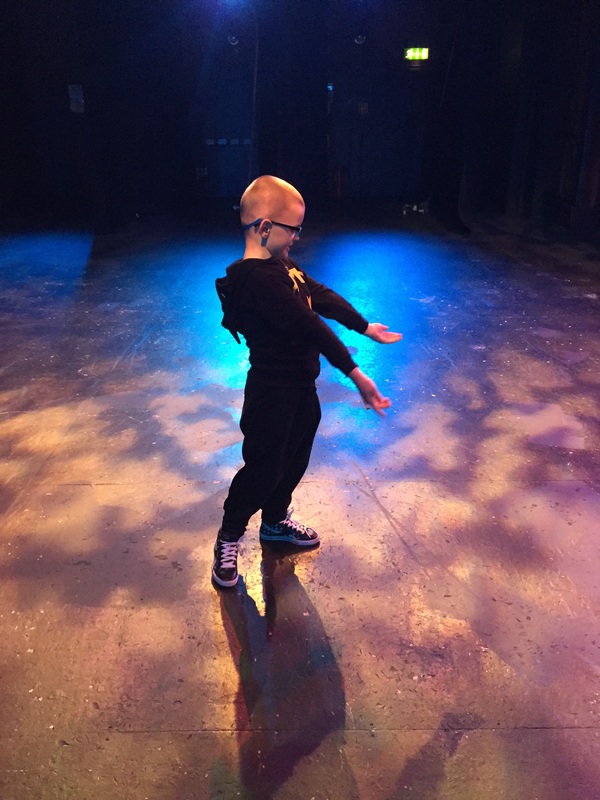 We visited on Monday and Charlie experienced this atmosphere for the first time, got to sit in the dressing room, hear the music and how loud it was, see all the flashing lights whilst standing on the stage. It is invaluable to him to have this preparation, the time and effort of others to help him to know what to expect, hence really helping to reduce his anxiety. I’m now preparing his visual timetable for the day so he knows what order things are happening in and again this will help him to feel prepared and ready for the day. I’m so immensely proud of him and cant wait to see him up there having a ball on Sunday. I will let you know next week how it all goes! I’m so proud of Charlie and all he achieves. I enjoy helping him to develop and seeing the difference it makes to him. I recognise too that he has many influences around him that help to shape, mould and make him the beautiful young boy that he is. I watched an article once that discussed teaching social skills to individuals with autism like you may teach other children maths. Repetitive modelling of behaviours, clear, concise explanation of social etiquette, how it works, why it’s important. This has always stuck with me and has definitely featured heavily in how I parent Charlie. So many people close to us just naturally pick up on this now too. I never take for granted though this very special effort that so many of my family and friends take. I have been doing lots of self development work recently for myself as part of a new business I have started and this quote came up on a webinar I listened to last night. It has really struck a chord with me because it is so true of how all of us learn and develop, but especially so for my son who has a fascinating autistic mind. This could have been written about him! Little step by little step he grows, advances, develops and learns – all the time enhancing his beautiful nature, personality and character. If you are earlier on in your journey than us, just getting diagnosis, maybe having a rough time or simply feeling like it’s all too much – remember that every little step is something to celebrate. Be positive even when everything is stacked against you. Praising those tiny achievements will spur both you and your child on.